Upscale Heritage Hotel at Koh-e-Fiza. Use the form below to inquire about Upscale Heritage Hotel at Koh-e-Fiza. .
Use the form below to reserve for Upscale Heritage Hotel at Koh-e-Fiza. . These are spacious rooms with double beds, en suite bathrooms and private balconies. These rooms are furnished with twin beds and an extra diwan. 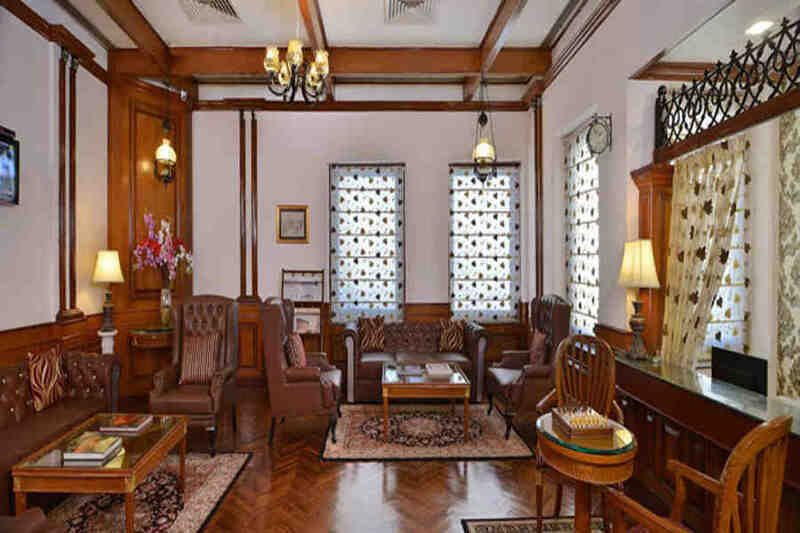 Admire and experience the grandeur of a bygone era while living like royalty at the Upscale Heritage Hotel at Koh-e-Fiza. Dichotomy is the essence of Bhopal. Traditional and modern co-exist in the many lanes of this bustling city in Madhya Pradesh. Two lakes split Bhopal into two contrasting cityscapes. 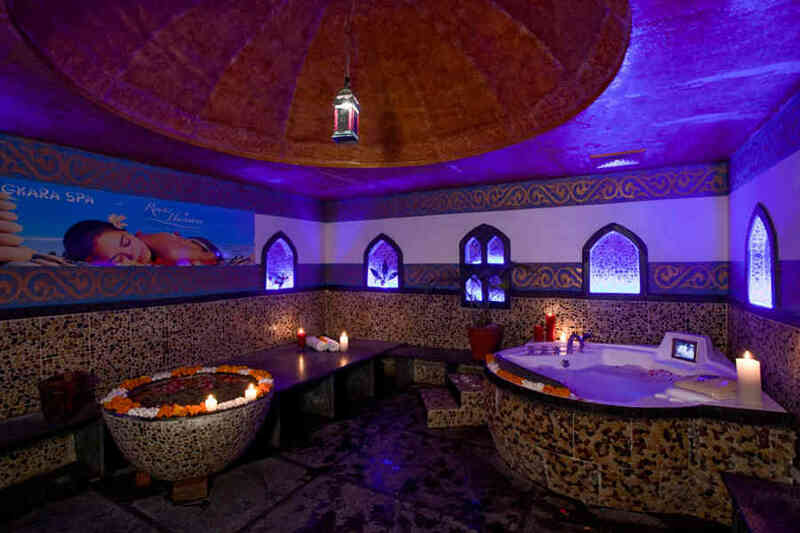 While one part of the city is an intricate labyrinth of mosques and bustling bazaars, the other part is a more modern with upmarket restaurants and hotels dotting its wide roads. 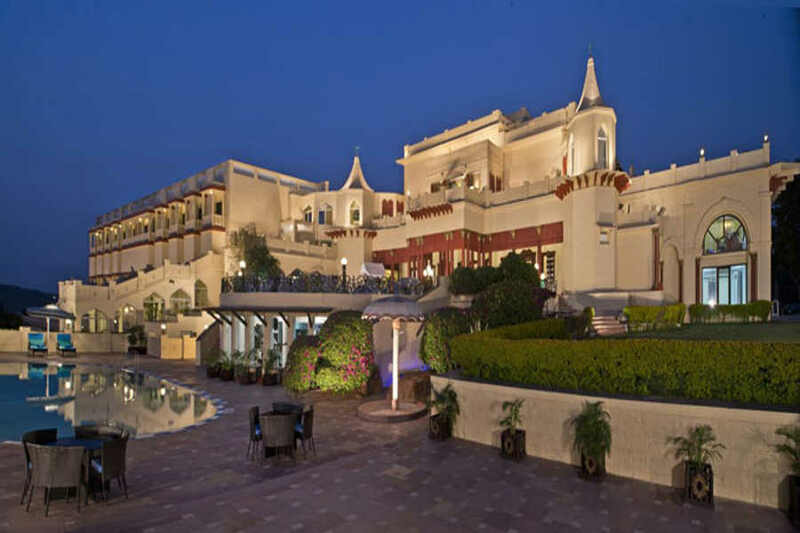 To experience the age-old charm and the luxury of royal living, stay at the Upscale Heritage Hotel at Koh-e-Fiza. 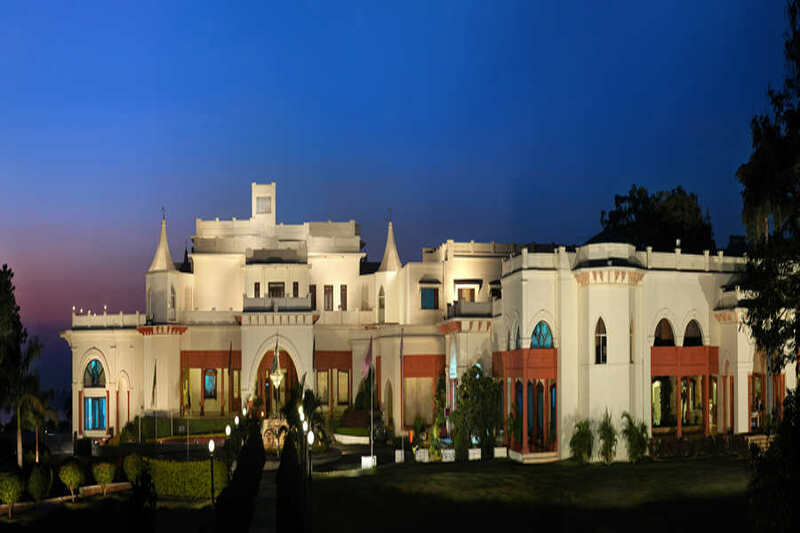 Located on an 18-acre lush green garden, the Upscale Heritage Hotel at Koh-e-Fiza is a residential palace par excellence. It was built in the 1920s and overlooks the popular Bhopal Lake. Although it’s away from the hustle and bustle of the city, constantly buzzing with life, the property is still not far away from all the action. The hotel features a white palatial building and architecture that reflects the splendor of the bygone era. 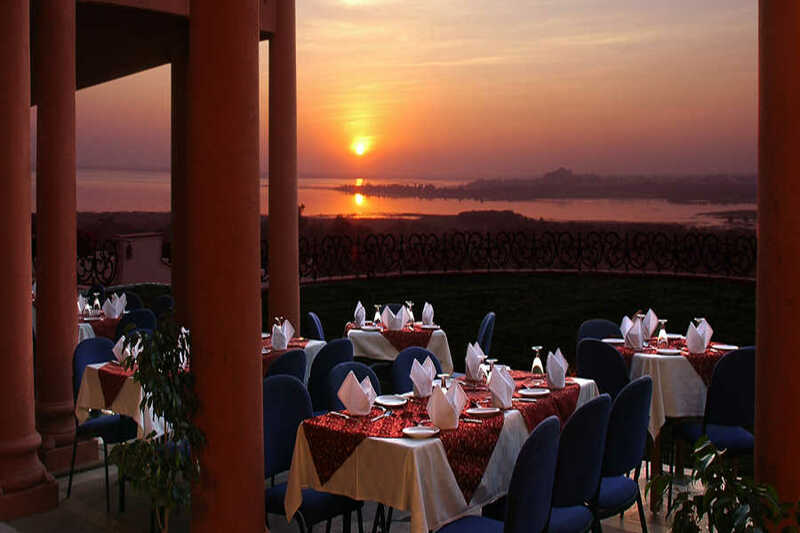 It’s location on a hill makes it a vantage point with breath-taking views of the vast Bhopal Lake. 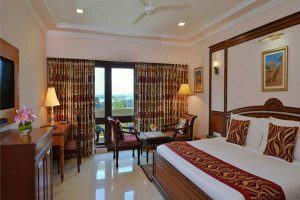 The heritage hotel keeps the tradition of Bhopal’s hospitality alive with the way it pampers its guests. There are three in-house restaurants that cater to the guests’ appetite. The pan-Asian restaurant, The Dynasty, the open-air restaurant, Marble Arch, and the fine-dining restaurant with a view of the kitchen, Za-aiqa, dish out the best cuisines from around the world to treat your taste buds. With the astounding luxury and natural beauty on offer, the heritage hotel promises to be the best address you have ever had on a holiday. 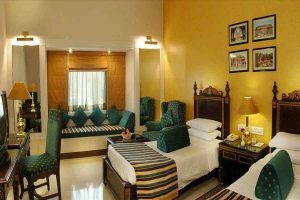 The Upscale Heritage Hotel at Koh-e-Fiza offers luxurious accommodation. The rooms are classified into Standard Rooms, Premium Club Junior Suites, Crown Club Rooms, Royal Club Rooms, and Presidential Suites. The rooms and suites abound in luxury. The interiors are well-furnished with refined upholstery that spells ultimate comfort. The spectacularly done interiors are equipped with modern comforts, including a minibar, tea/coffee maker and a satellite TV. All the rooms offer great views of the lake. A perfect holiday location for a perfect holiday! Extra Person (Between 05 to 12 years & above with an extra bed). It is mandatory for guests to present valid photo identification upon check-in. Full pre-payment of the tariff is required at the time of reservation. Full retention or no refund for cancellation received 7 days prior to arrival. One day pro-rata cancellation charges will be levied/forfeited for cancellation received 10-15 days prior to arrival. Cancellation charges if canceled more than 15 days prior to arrival. Full pre-payment of tariff is required at the time of reservation. No cancellation charges if canceled more than 3 days prior to arrival. One night cost will be charged for cancellations done between 1 to 3 days of check-in. No Refund for any further cancellations. 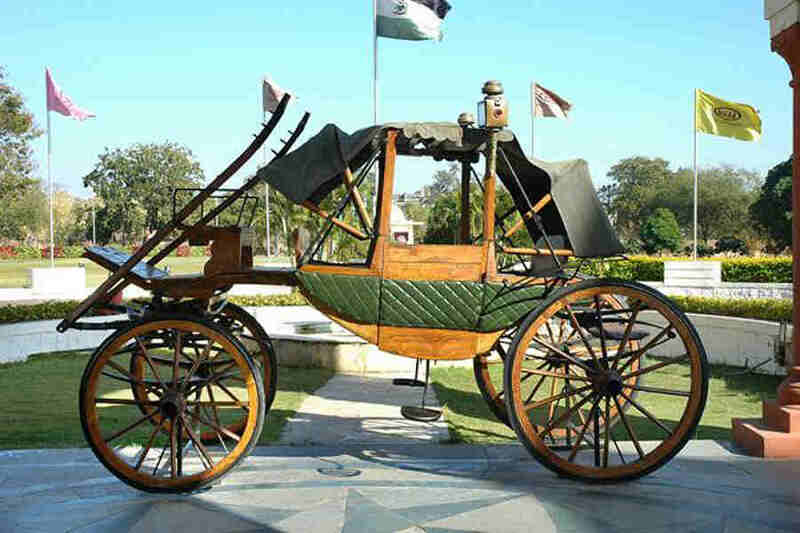 Bhopal has a repository of historical monuments that are must-visit. The city also boasts of a variety of natural and manmade wonders. To start with, visit the Upper Lake. Also called Bhojtal, it’s the oldest manmade lake in the country. While you are there, you can try different water sports, such as paddle boating, sailing, and motor boat rides to soothe your thirst for adventure. On the banks of the lake is Sair Sapata, an entertainment and tourism complex with an amusement park, a toy train, and other attractions. You can also visit Van Vihar National Park. It’s a unique national park that is home to a variety of endangered species. It’s a gateway for those with an interest in seeing Indian wildlife. Among buildings with great architecture and historical importance is Taj-ul-Masajid. Its name translates to the Crown of Mosques. It features a beautiful minaret and marble domes. For a novel experience, visit Manubhan Tekri. It’s a popular Jain Temple, reaching which needs a special ropeway ride. Spectacular Jain architecture, a unique perspective and the splendid scenery of Bhopal are takeaways of visiting Manubhan Tekri. 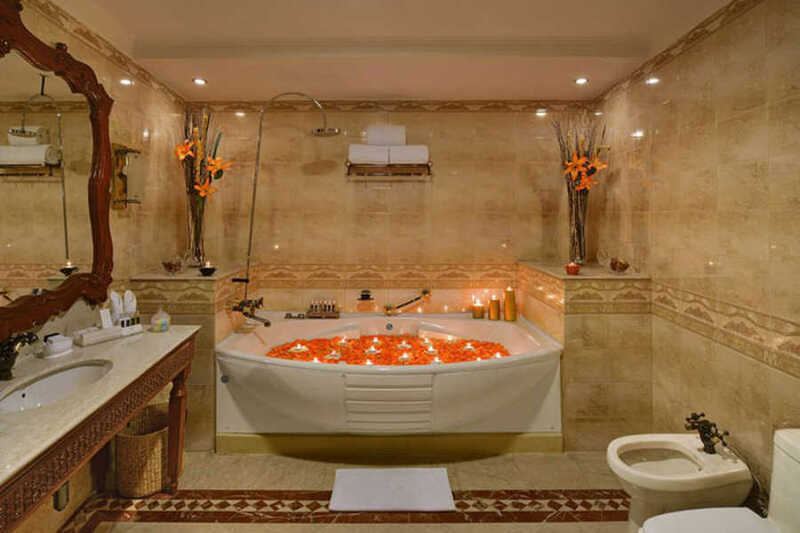 If relaxation is what you are looking for, head to the hotel’s spa and health club or laze in the hotel’s swimming pool. The Bhopal Airport is a stone’s throw away from the hotel. At 7.8 km, it’s the closest airport from the hotel if you prefer to fly to Bhopal. The Delhi airport is located 797 km away from the hotel. 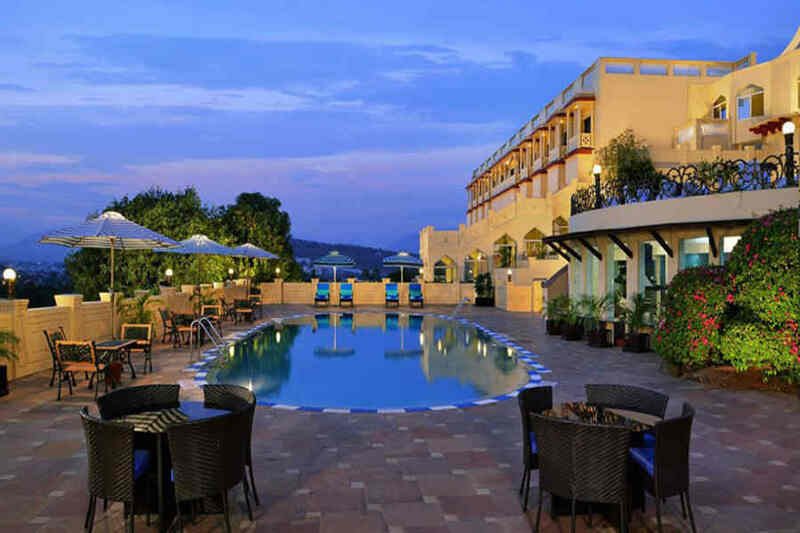 The heritage hotel is located 7 km away from the Bhopal Junction Railway Station. Many trains from across India service this station, which is also the largest in the city. The New Delhi Railway Station is located 784 km away from the hotel. A network of highways connect Bhopal to Nagpur (356 km), Ahmedabad (580 km), Surat (634 km), Jaipur (626 km). You can also drive down to the hotel by road from Delhi (786 km), Pune (781 km), Jodhpur (777 km), and many other cities in India.